If you're serious about success, we're serious about you! We are RE/MAX On Market, one of the most successful real estate companies in the Seattle area, based in vibrant downtown Ballard. 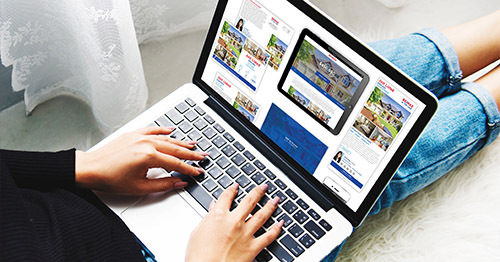 We started RE/MAX On Market to be the very best in the industry – a truly professional, technology-driven company. The secret to our momentum is simple: exemplary service to our clients and our brokers. It starts with being a part of a world-class brand. With more than 120,000 agents in 100 different countries, RE/MAX is strongly positioned as the largest and most recognizable real estate brand in the world. We move more people around than any other company and have more opportunities for fee-free referrals. To ensure our brokers rise above the competition, we have a full service design and marketing team available to create materials that pop and campaigns that drive leads. You’ll look like a marketing genius with RE/MAX Design Center Automation tools as well! We offer full service broker support, including training, transaction management, legal support and business coaching. Notice: Your information is private and we won't spam you.